This Seremban Travel Guide allows you to understand more about the place and Seremban Transportation Guide is included as well. 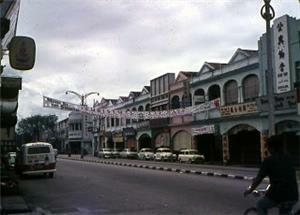 Seremban is the capital of Negeri Sembilan, about 1 hour driving distance from Kuala Lumpur and about 1 hour driving distance from Historic Town Melaka (Malacca). So to say it is located in between Kuala Lumpur and Melaka. Seremban is famous of its various local delicacies. One of the well known local food is the Seremban Siew Pau, where it’s a baked bun with pork filling. The skin is crispy and can be felt upon munching on it. The famous shop can be seen when you drive along the north south highway from south to Kuala Lumpur. Aside from the Seremban travel guide, the transportation guide will give you detailed transportation information when you travel to Seremban. The railway station in Seremban was constructed many years back and now it is still operating. At this moment, this station serves as the terminal for KTM (Keretapi Tanah Melayu), linking to various town such as KL and Rawang. Many locals choose to stay in Seremban and commute to Kuala Lumpur to work on daily basis because living standard in Seremban is much lower than in Kuala Lumpur. Another group of people also commutes daily to Kuala Lumpur to work by bus service instead of train due to higher frequency of bus, alternative arrival location and various arrival locations. 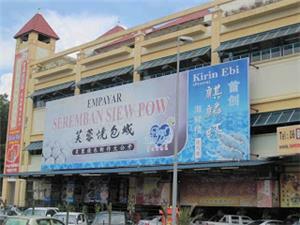 The Seremban Bus Terminal One is within walking distance to the train station located at city centre. Other than serving high frequency of bus service between Seremban and Kuala Lumpur, it also serves the arrival bus from Johor Bahru and Singapore. For more information about Bus to Seremban, check out details from us today!